Revelation is an eclectic and ambitious mix of intricate harmonies, symphonic strings, R&B grooves, pop melodies and hip-hop-inflected rhythms. 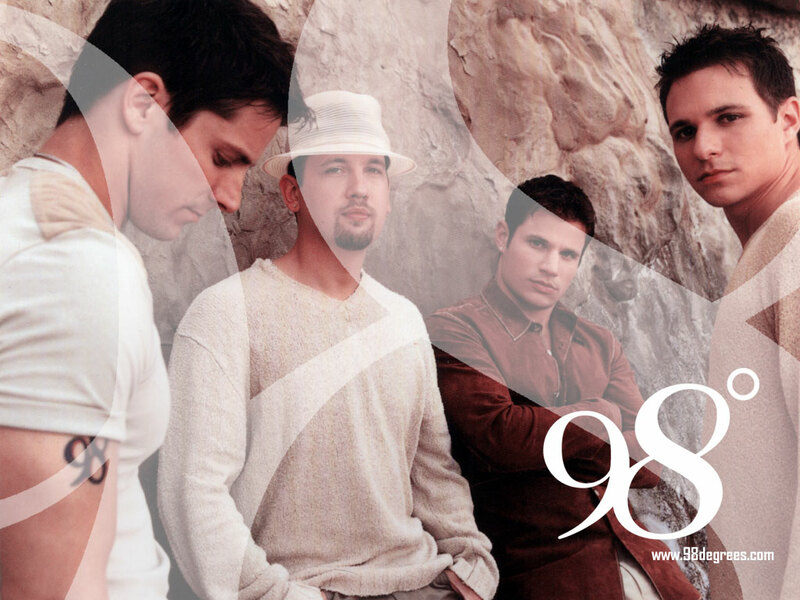 Recorded in Los Angeles and produced by Anders Bagge and Arnthor Birgisson (who produced their holiday album, This Christmas, and their Top 3 hit, "Because of You" from 98 Degrees And Rising), Carl Sturken & Evan Rogers (the team behind 'N Sync's "God Must Have Spent"), Rhett Lawrence (Mariah Carey, BeBe and CeCe Winans, Monica) and Sam Watters & Louis Biancaniello (who produced the NICK LACHEY-Jessica Simpson duet, "Where You Are"), Revelation is a cornucopia of sounds. "The theme of this album is really about us growing musically," JEFF says. NICK concurs: "We tried not to have any boundaries, try different stuff. The album is so versatile, there's so many different types of songs." Case in point: NICK even raps on the track "Dizzy," though he jokes that that definitely won't become a 98 Degrees staple. "I enjoy rhyming. I wrote it in five minutes and just put it down. It was something fun to do."